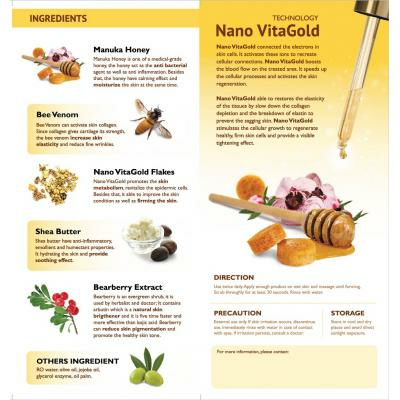 Dehydration, UV ray damage, and the natural aging process can all cause skin to look less than its best, and can eventually lead to fine lines and wrinkles. 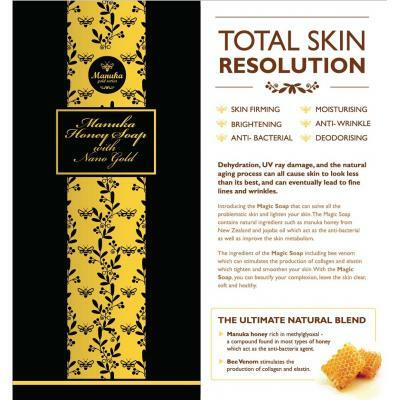 The Manuka Honey Soap with Nano Gold that can solve all the problematic skin and lighten your skin. 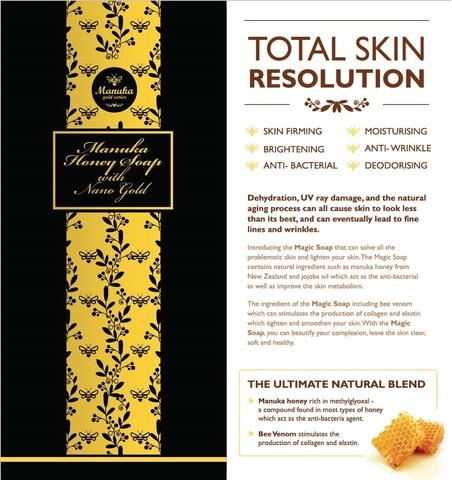 The Manuka Honey Soap with Nano Gold contains natural ingredients such as Manuka Honey from New Zealand and Jojoba oil which act as the anti-bacterial as well as improve the skin metabolism. 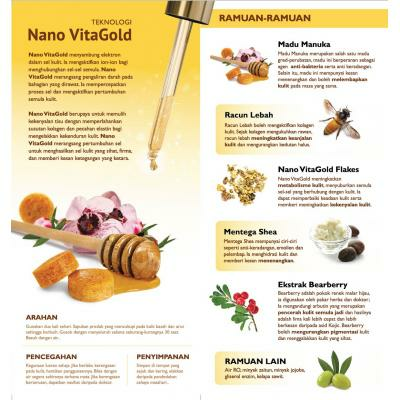 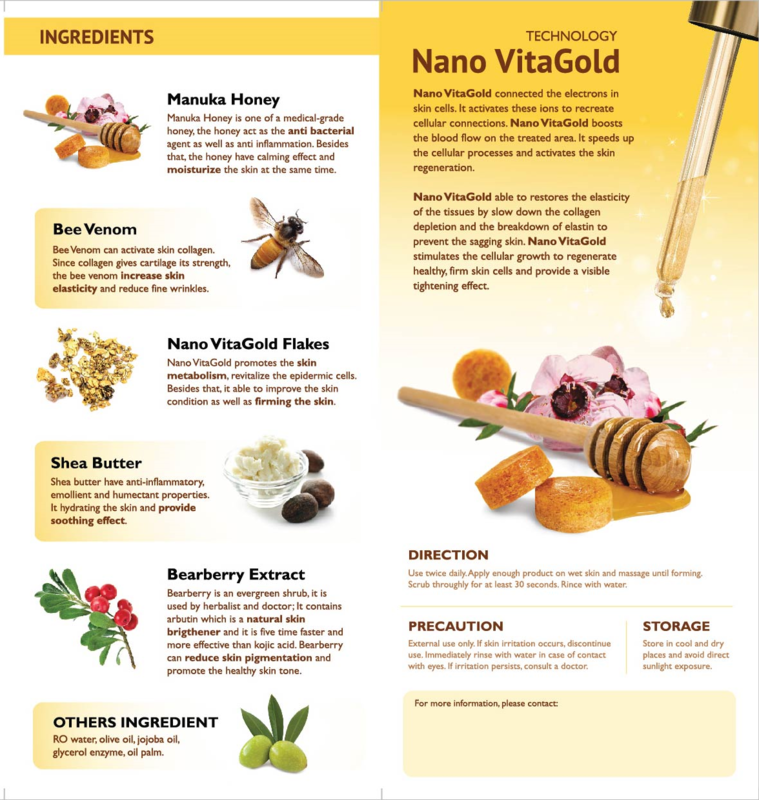 The ingredients of the Manuka Honey Soap with Nano Gold including Bee Venom which can stimulates the production of collagen and elastin which tighten and smoothen your skin. 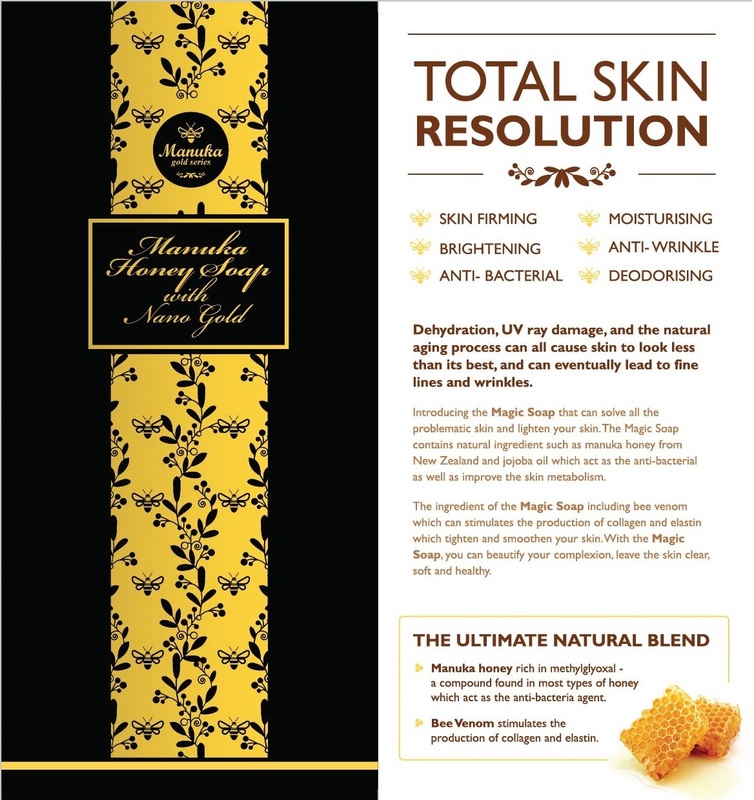 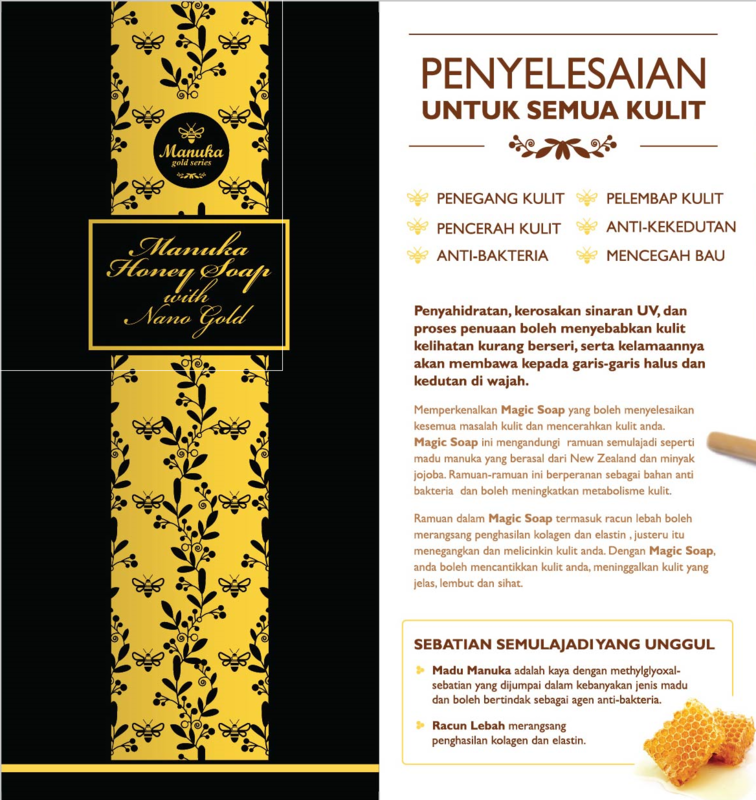 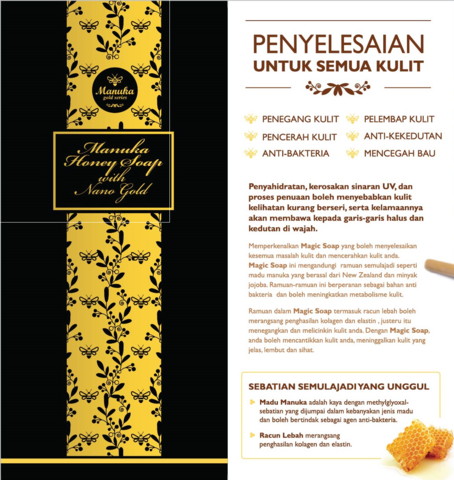 With the Manuka Honey Soap with Nano Gold, you can beautify your complexion, leave the skin clear, soft and healthy. Use twice daily. 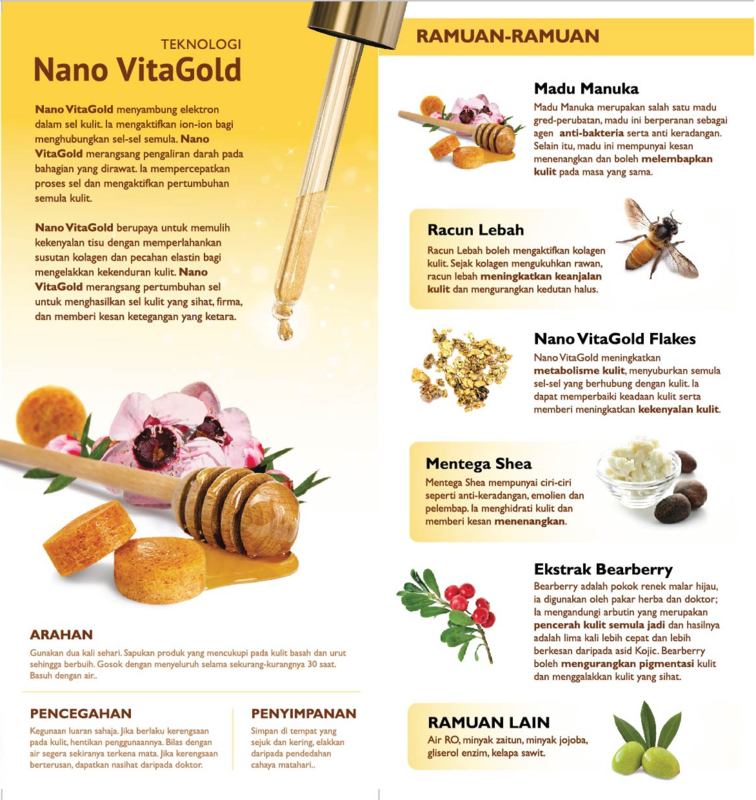 Apply sufficient amount on wet skin and massage until foaming. 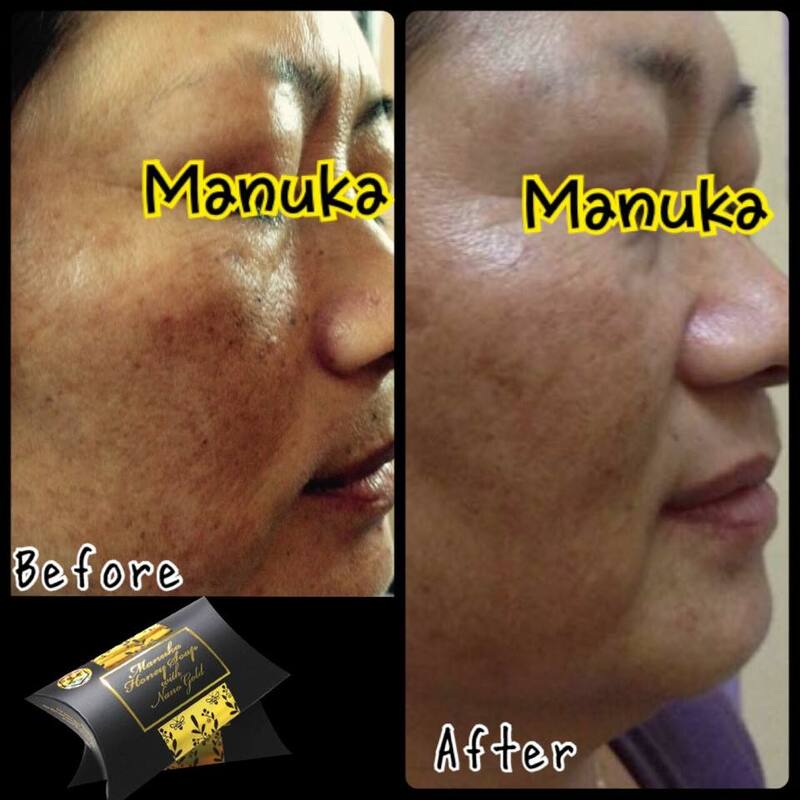 Scrub thoroughly for at least 30 seconds. 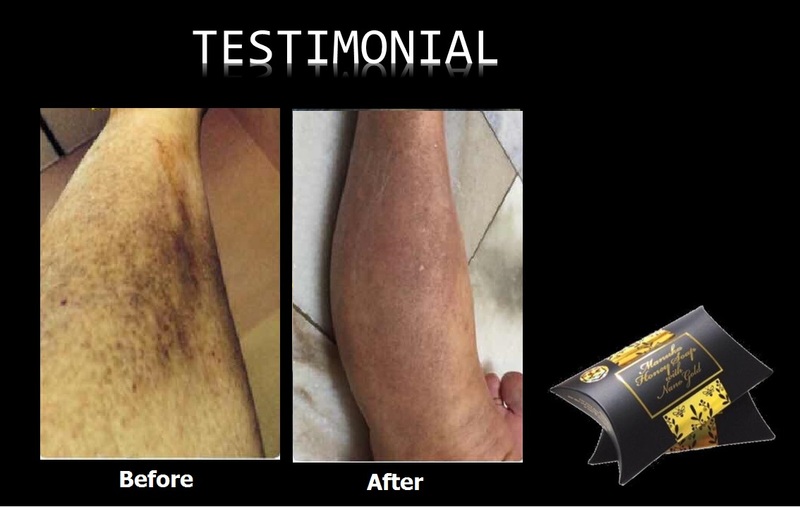 Rinse with water.